Daniel J. O’Malley was elected to city council by the residents of Ward 4 in November 2015 and represents Lakewood’s east end. 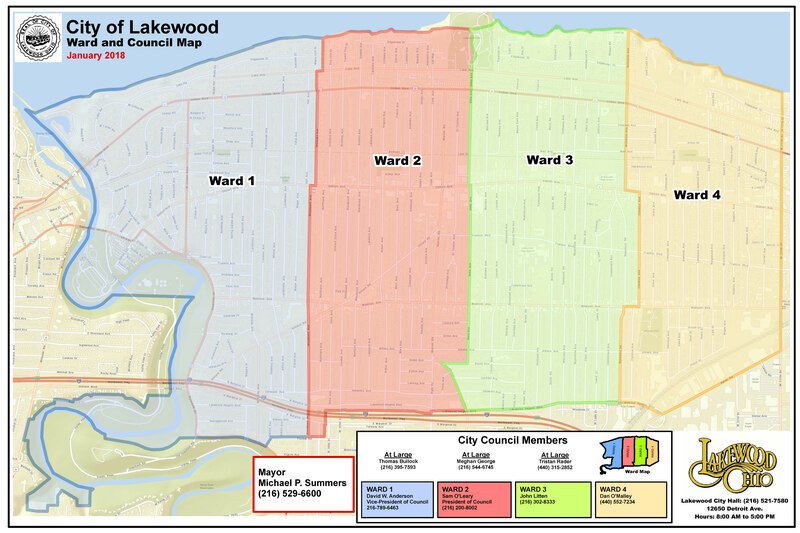 Ward 4 comprises some of Lakewood’s most diverse and historic neighborhoods, including Birdtown, Rockport, and the Gold Coast. Before joining City Council, Dan served on Lakewood’s Citizens Advisory Commission and remains active in numerous civic and community organizations. Dan’s first act as a councilperson was to introduce Ordinance 1-16, which prohibits discrimination against LGBT workers and residents in education, housing, employment, and public accommodation. The ordinance is among the most comprehensive anti-discrimination laws in Ohio. Dan’s other legislative achievements include passing ordinances to increase transparency and accessibility within Lakewood city government, and to remove onerous regulations for small business owners. Dan’s priorities on council are to make our neighborhoods safer, healthier, and more vibrant while providing responsive service to Lakewood’s residents. He regularly holds town hall meetings throughout Ward 4. Dan serves as Chair of council’s Finance Committee, and is a member of the Housing Committee and Public Safety Committee, which he previously chaired.